Onrad’s Dr. Farid Shafaie Now Performs Y-90 Interventional Radiology Procedures - ONRAD, Inc. Presence St. Mary’s Hospital in Illinois announced that they will be offering the innovative Y-90 procedures at their hospital under the leadership of Dr. Farid Shafaie, Chairman of Radiology and Medical Director at Onrad, Inc. This radioembolization procedure has many benefits for patients and is a minimally invasive procedure, most commonly used to treat liver cancer. This advanced interventional radiology procedure is one of the fastest growing subsets in IR. Also referred to as chemoembolization, the Y-90 procedure involves delivering tiny beads filled with radiation or chemo, in high doses to a tumor. This technique enables the doctor to provide the most amount of radiation possible to a cancerous tumor without damaging the healthy areas of a liver. Many patients with inoperable liver tumors have seen improved quality of life thanks to the Y-90 procedures. With new evidence coming to light, physicians have also seen overall improved patient outcomes when this radioembolization technique is used in combination with systematic chemotherapy. By combining forces, Dr. Shafaie, Onrad and Presence St. Mary’s Hospital have made it possible for patients in Illinois and Indiana to receive innovative cancer care without having to travel to Chicago or another major city. Innovation and access to quality care are of the utmost importance when it comes to cancer care and Onrad is proud to have radiologists on staff like Dr. Shafaie who are working to improve cancer care delivery. Patients can learn more about the Y-90 procedure here: http://www.radiologyinfo.org/en/info.cfm?pg=radioembol#experience Your physician will give you instructions for preparation and let you know more about what to expect prior to, during and after the procedure.  ONRAD, Inc. is a full service radiology services provider headquartered in Riverside, California. As a partner to its customers, we can complement and expand the radiology services already in place or provide a more comprehensive full-service solution. ONRAD provides on-site radiology, interventional radiology, sub-specialty interpretations, afterhours teleradiology, RIS/PACS support, as well as final and preliminary radiology reports. All studies are read by U.S. – based, board certified radiologists. For more information, visit onradinc.flywheelsites.com.